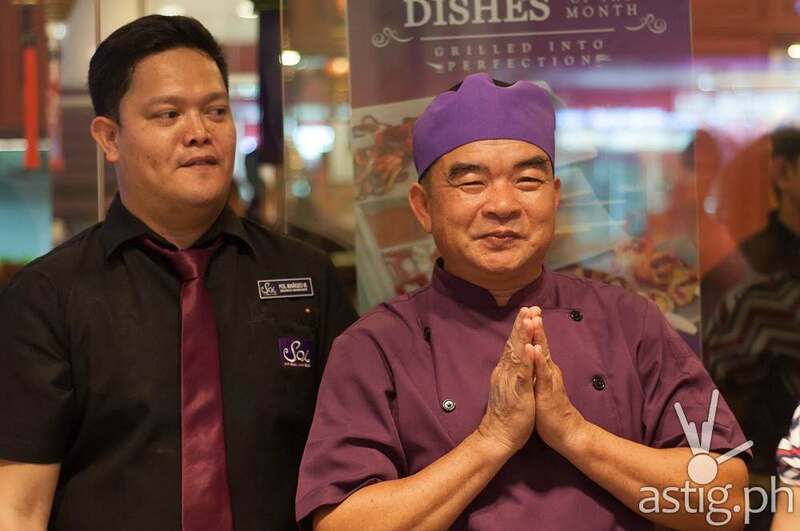 Say “sawasdee” to good Thai food in the busy Makati central business district. 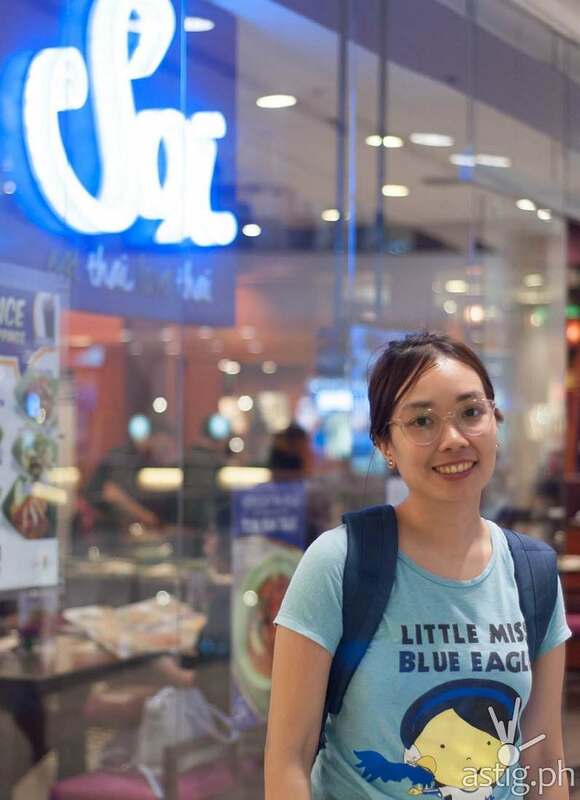 Since its grand opening in Glorietta about 4 years ago, Soi eat thai, love thai has been churning out some of the best tasting dishes Thailand has to offer. 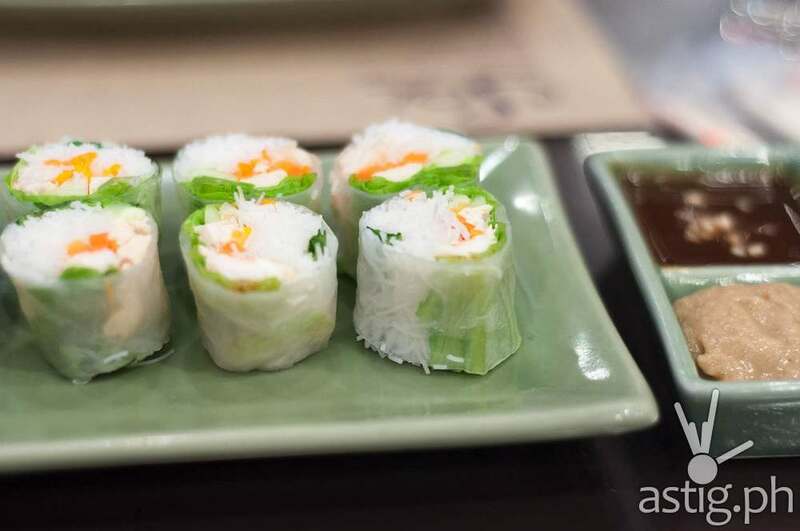 Fresh Spring Roll (Php 168) – Check out the big portions of fresh rolls made of rice vermicelli, chicken, carrots, basil, cilantro and lettuce wrapped in rice paper rolls. The accompanying sauces help the fantastic, fresh tropical flavors really shine through. 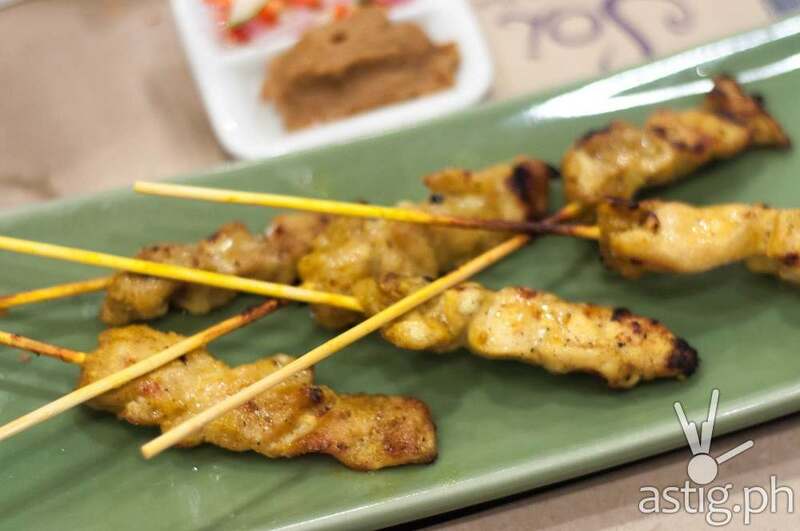 If you feel like trying out the Thai version of skewered pork or chicken, try satay. 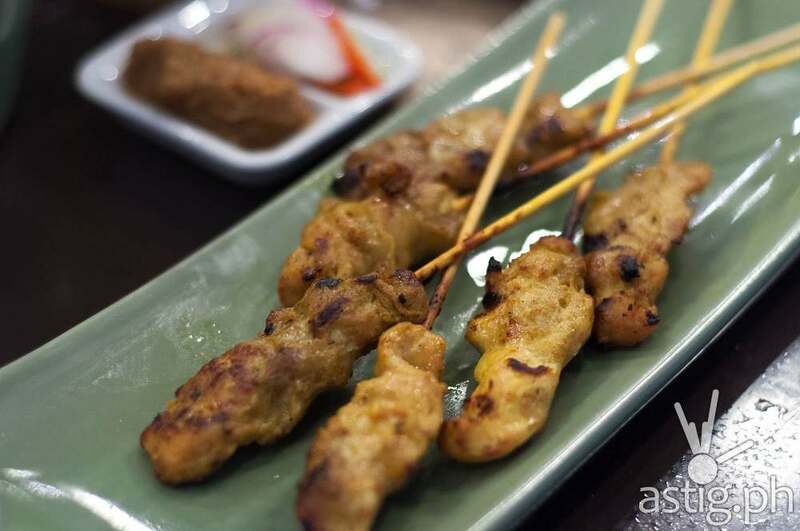 The Chicken Satay (pictured above, Php 238/ 6pcs) and Pork Satay (pictured below, Php 238/ 6pcs) come with some really tasty mamuang sauce, making the dishes taste absolutely nutty…and well, Thai. The Crispy Catfish with Mango Salad (Php 258) comes boneless, thank God! 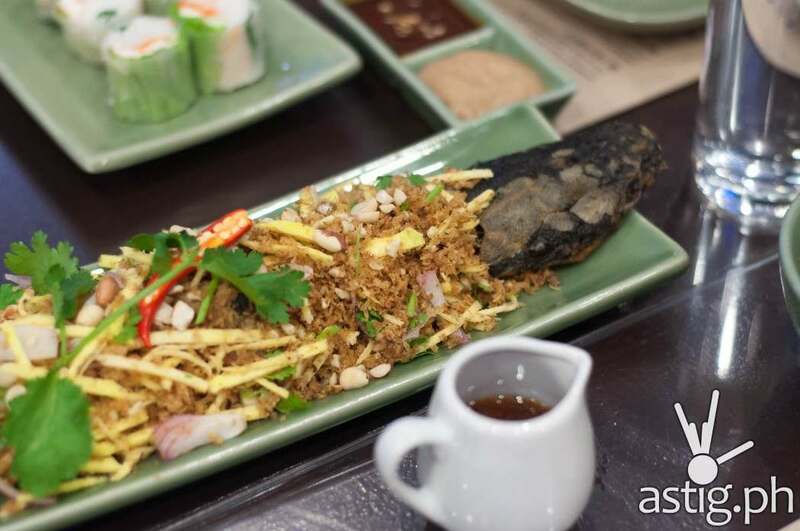 Crispy catfish flakes fried to perfection and mixed with green mangoes must be topped with the accompanying sweet vinegar sauce to start your Thai experience right. After trying the appetizers, let’s move on to the bestselling soups. 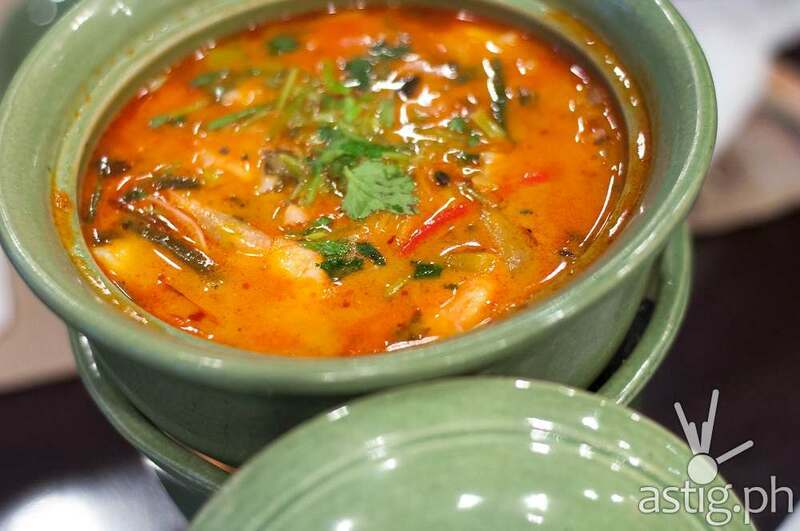 First up, the Tom Yam Talei (Php 348), a spicy-sour broth filled with delicious seafood and vegetables. 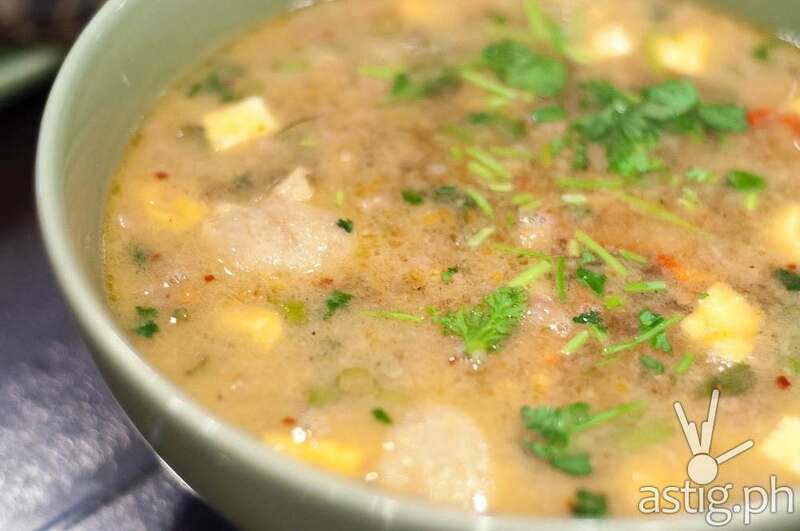 Another bestselling soup, the Sukhothai (Php 298) is a soup dish with rice vermicelli, pork slices, pork balls, dried shrimp, crushed peanuts and veggies. Full flavored, each bowl is very filling and tasty. If the taste doesn’t suit your palate, you can always add any of the four Thai condiments, red chili in vinegar, dried chili powder, chili fish sauce and sugar. 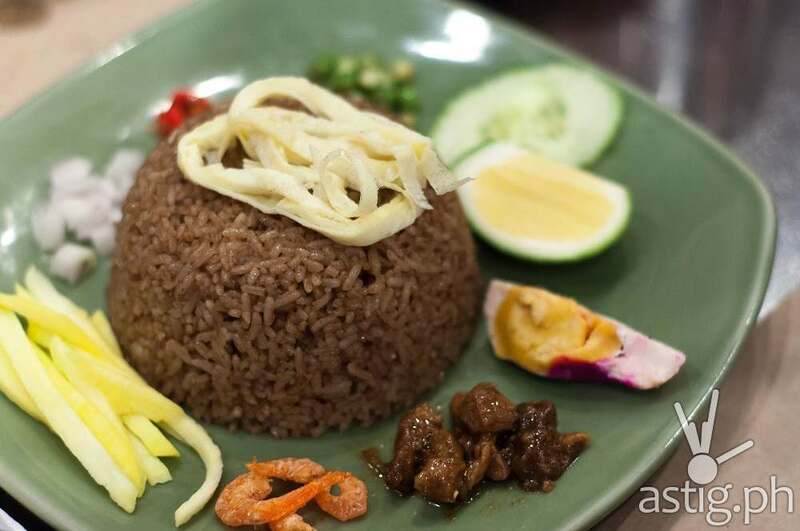 If you want bold flavors dancing in your mouth, try Soi’s Bagoong Rice (Php 198). Mix the fixings on your plate and make sure each spoonful you try has bits of bagoong rice, pork, tomatoes, egg, shrimp and lime. 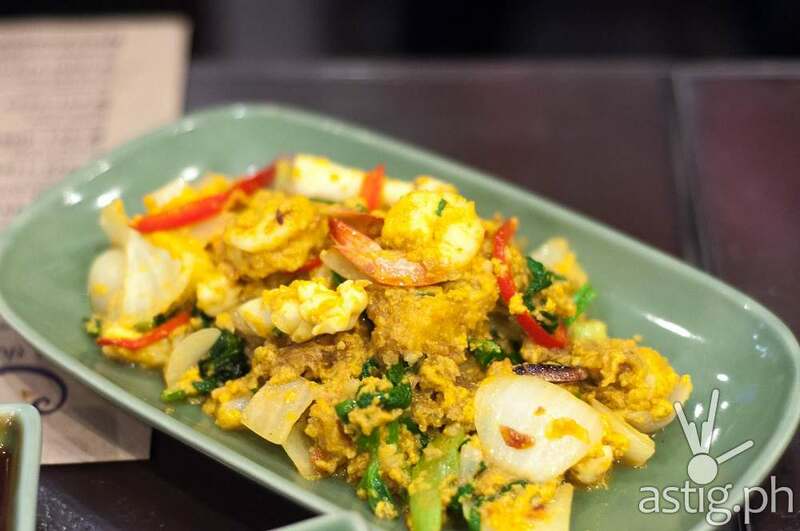 Seafood in Yellow Curry (Php288) is composed of cream dory, squid, shrimp, onions and bell peppers mixed in delicious Thai curry. Don’t let the simple presentation fool you. 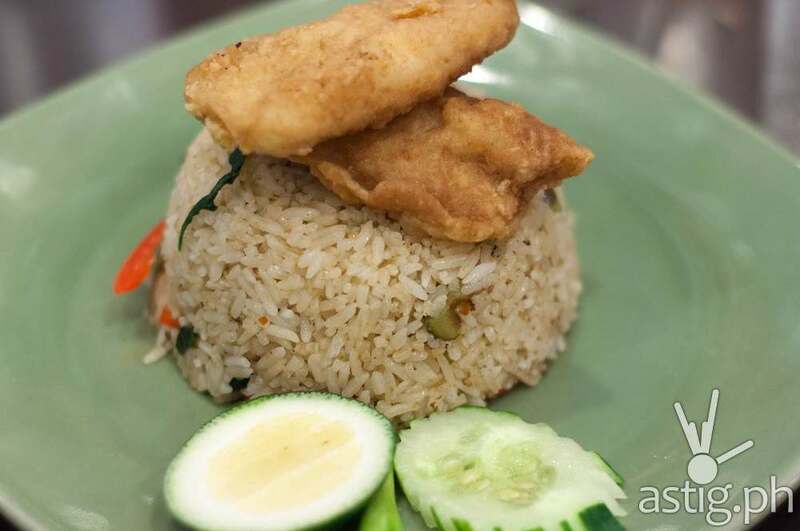 The Green Curry Fried Rice with Fish Fillet (Php 188) offers some really tasty fried rice that works great with the succulent cream dory fillet. And of course, experiencing Thailand is incomplete without the Shrimp Pad Thai (Php 298). From the presentation alone, you know it’s bound to taste great! Squeeze the lime to help enhance the flavors of the dish, add some crushed peanuts, and then mix! 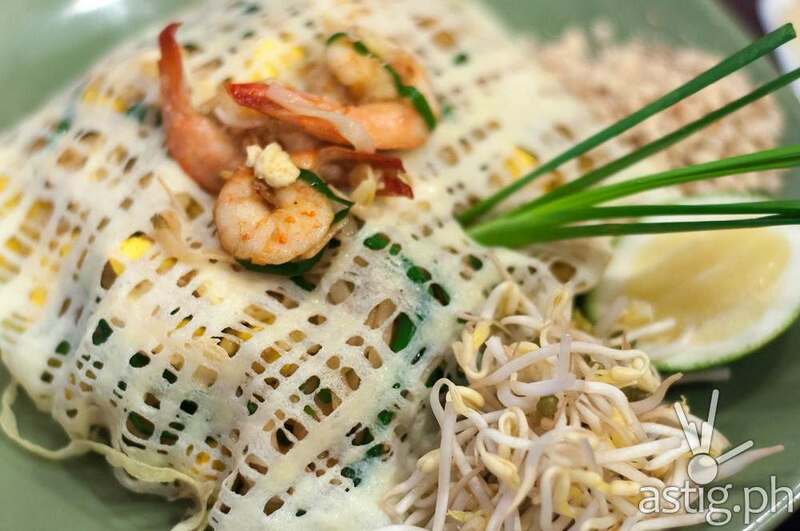 The sour-sweet noodles taste great with the peanuts, bean sprouts and scrambled egg. 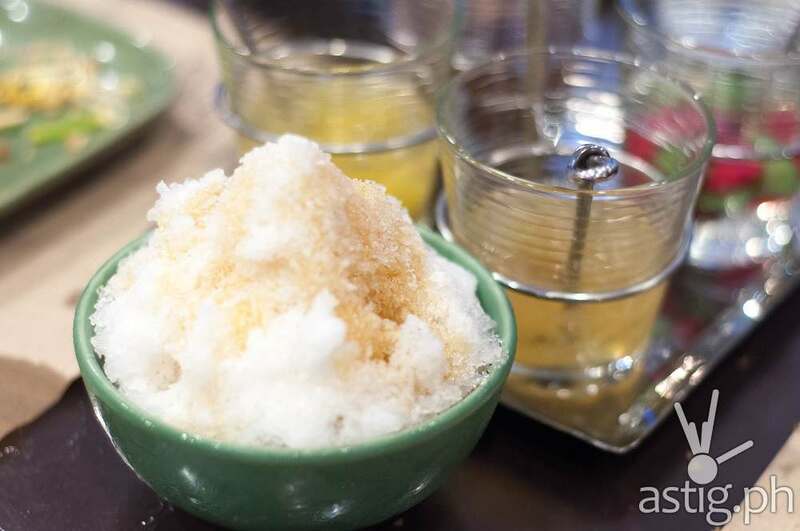 Chug down all the goodness with a glass of real Thai Iced Tea (Php 85) and then round up your meal with the Thai Halo-Halo (Php 138), where you get to choose your own sweetened dessert before topping it with shaved ice and milk. So you see, there’s plenty of reason why foodies will definitely be back for Soi’s bestselling authentic Thai dishes. I know I will! 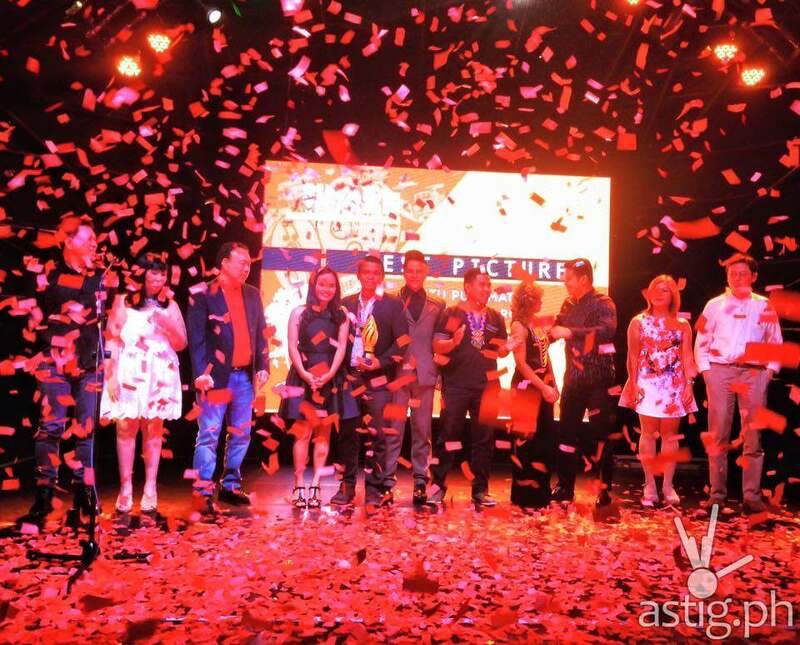 As of this publication, you can find Soi eat thai, love thai in Glorietta, Alabang Town Center, SM Megamall, SM Mall of Asia, Robinsons Ermita and SM Seaside Cebu.